Traffic signals vector illustration of traffic lights. 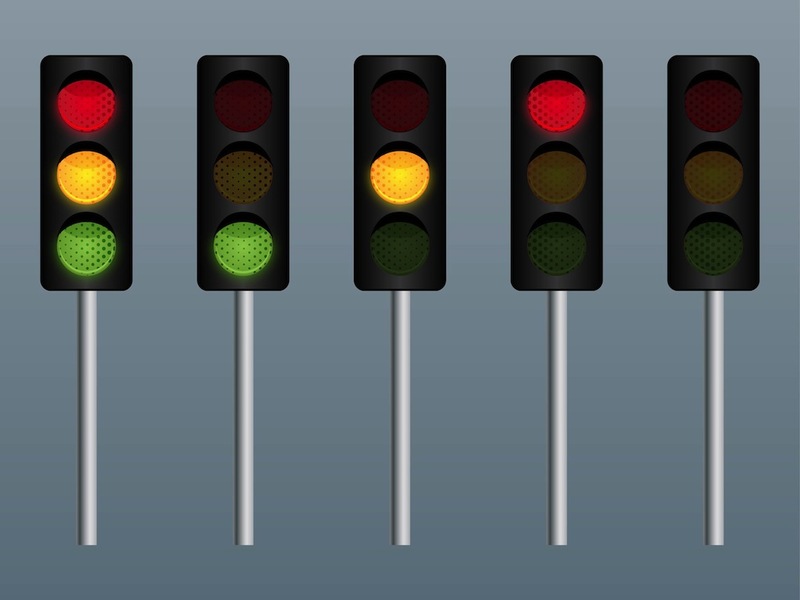 Realistic traffic control device in different states: with all colors shining at the same time, turned off version and each color shining individually. Free vector illustrations to use in all your cars, traffic regulation, signaling devices, driving and big city streets design projects. Tags: City, Colors, Commute, Detailed, Drive, Streets, Travel.